Israeli soldiers abducted, Thursday, two Palestinians, including a political leader of Fateh movement, in occupied Jerusalem, and three others in Nabi Saleh village, northwest of Ramallah, in central West Bank. The soldiers abducted a young man while leaving the Al-Aqsa Mosque, through Bab al-Qattanin (Cotton Merchants Gate) in Jerusalem and took him to the al-Maskobiyya detention and interrogation center. The abduction came while more than 86 extremist Israeli colonizers invaded the courtyards of the holy sites, and conducted provocative tours, under heavy police and military deployment. 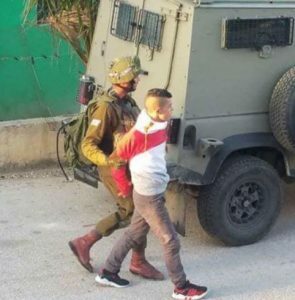 In addition, dozens of soldiers invaded and ransacked homes in Nabi Saleh village, northwest of Ramallah, and abducted three young men, identified as Waleed Morad Tamimi, Amjad Abdul-Hafith Tamimi and Lu’ay Abdul-Razeq Tamimi. It is worth mentioning that Amjad Tamimi was taken prisoner after receiving many phone threats by the soldiers and was held captive several times over the last few months, in an illegal measure meant at forcing his brother Ezzeddin to turn himself in to the army. The military has been frequently invading the town and the family’s home, over the few months, looking for Ezzeddin. During Thursday’s invasion, the soldiers fired many live rounds, rubber-coated steel bullets and gas bombs, at Palestinian protesters, and many homes, causing several residents to suffer the effects of teargas inhalation, in addition to resulting in property damage. 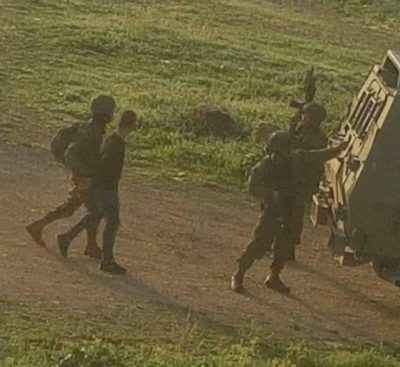 Earlier Thursday, the soldiers abducted ten Palestinians, including one woman, from several parts of the occupied West Bank, in addition to one who was taken prisoner on Wednesday evening.